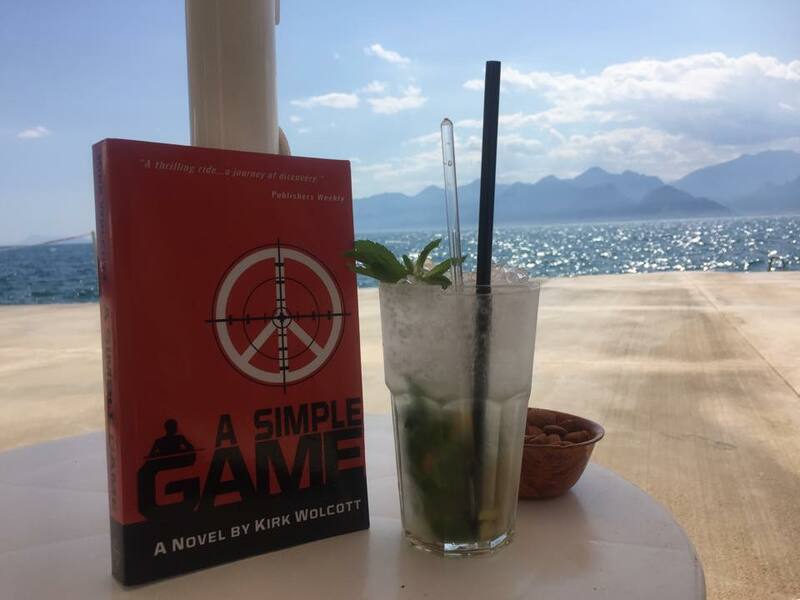 t in time for your summer reading pleasure, from now until the end of July my first novel A Simple Game is available for only $1.99! You can read my international thriller about a group of terrorists who try to hold the world hostage by systematically killing our biggest sports stars any number of ways – on Kindle, on Nook, or paperback via Amazon. So, grab a copy, find a pool or nice beach, settle into your chaise lounge with a cold, fruity drink, and enjoy. Oh, and when you’re finished, let me know what you think – either here or by writing a brief, much-appreciated review – and then tell all of your friends! Hey Kirk, How do I get a signed copy of your book? Looked on amazon and kindle but being in Australia it won’t let me purchase for $1.99. Perhaps that’s because we’re in winter on this side of the globe? Glad to hear you’re interested in the book and apologies for my late reply: you caught me during a move from Istanbul to Washington, DC, before I head off to Dublin next month. Sorry to hear you cannot purchase the book in Australia, but I’d be pleased to send you a signed copy if you provide me with your mailing address at kirk@kirkwolcott.com. It may take a while to get to you on the other side of the planet, and all I ask for in return is you tell your friends (including the Aussies) about the book!